Danny Infantino (b. September 23, 1949) of College Point, Queens, NY, began his study of guitar at age fourteen with jazz finger-style guitarist Howard Morgen and later studied with classical guitarist William Matthews. During his diverse career, he has played with many groups in various styles including rock, country, folk, and Celtic music. In New York, Danny was lead guitarist and singer in several bands, including Renaissance, Streetheart, White Heat and Domino, and he opened for Neil Diamond, the Critters, and played many venues in New York, including the Café Wha in Greenwhich Village. As a duo with Richard Ivans, he co-wrote and produced many songs, and together they performed at the Village Gate and Night Owl Café. Danny worked in music production with several music business legends, including Ellie Greenwich, who in 1965 had ten top-ten records. Ellie and Danny released a single, “I Hear the Grass Singing,” sharing the lead vocals. Later he worked with recording masterer Bob Ludwig. Danny played all lead guitar tracks on a recording by VOG, a New Wave rock act released by Deutsche Gramaphone and produced by Bob Ludwig. Danny did a short stint with Eric Mercury and his ten-piece band, playing opposite folk legends Tim Hardin, Odetta, Richie Havens and for five straight nights with the Grateful Dead at the Café Au Go Go in Greenwhich Village. He later joined the Blackwater Boys, an Irish trio, performing in NY, Worchester, MA, and Washington, DC. The band grew in size and became Blackwater, playing a variety of country and western music at music venues in NYC, including City Limits, Remington’s, Sundown, O’Lunney’s, and eventually becoming the house band at the famous Lone Star Café. Blackwater opened for many country, folk and blues artists including Porter Waggoner, Dr. John, Jaco Pastorius, Roger McGuinn, Ricky Scaggs, David Carradine, Vassar Clements and played parties for the president of Warner Brothers, where they met George Lukas, Steven Spielberg, and Dustin Hoffman. As a solo artist, Danny performed at two of Bermuda’s finest pub-restaurants — The Hog Penny Pub in Hamilton, and the King Henry the VIII pub and restaurant in Southampton. He also performed as a soloist in the Crown Viking Lounge on two of Royal Caribbean’s cruise ships, Sovereign of the Seas, and Vision of the Seas. At age 38, Danny left behind his success in Bermuda to pursue a higher education, the first of his family to do so. He earned a B.A. in Music at St. Andrews Presbyterian College in North Carolina, and continued his study under Christopher Berg at the University of South Carolina, earning a Master of Music degree in classical guitar performance in 1993. He concurrently became a professor of music theory, history and guitar at Sandhills Community College. Along with co-writer Stephen Smith, Danny won the New Folk Songwriting competition at the Kerrville Folk Festival in Kerrville, TX, in 1997. Danny and Steve performed at Kerrville and later at the Bluebird Cafe in Nashville, TN. In 2001, Danny was the recipient of the Sam Ragan Award for Outstanding Contributions to the Fine Arts of North Carolina. 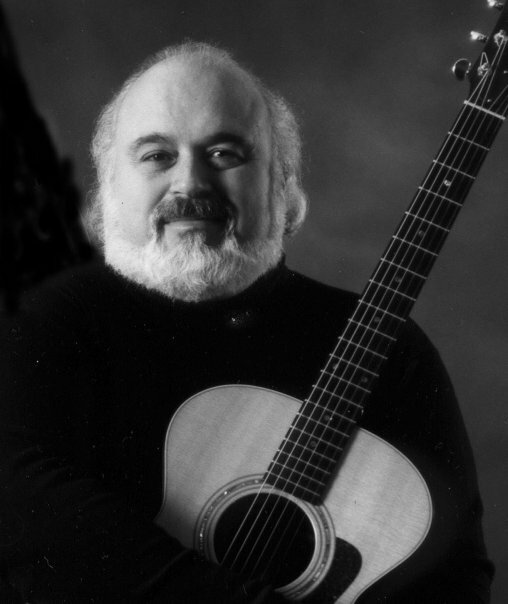 In addition to teaching guitar privately in Southern Pines, he enjoyed work as a wedding and special event musician, captivating audiences throughout North Carolina. His record credits include thirteen albums of his own arrangements and compositions. After building his own recording studio in 2008, and working through TAXI A&R, Danny focused his efforts in producing music that would go on to be featured in films and on many national television programs. He continued doing what he loved—composing, teaching and performing—until his untimely passing in early 2019.